The long history of tatami mats begins around the ancient Nara period (710 A.D.), when tatami were used primarily by the Japanese royal family. By the Edo period (beginning in 1603 A.D.), the use of tatami in daily life had spread to the masses. The rushes used to make the mats that were so beloved by the people of Japan had antibacterial and deodorizing properties, and the scent of the rushes induced a calming feeling. Therefore, the mats have the same healing properties of a peaceful walk through the woods. In recent years, however, traditional Japanese-style rooms have been disappearing from Japanese homes, and tatami culture has been on a steady decline. The Oda Tatamiten matmakers have been in business for 120 in the town of Tawaramoto in Nara prefecture. Osamu Oda, the business’s proprietor, once created a purse that could be taken anywhere from mats that had been previously used only as floor coverings. He took this opportunity to create the Oda Tatami brand, with the idea of reinventing tatami in new forms. He was, however, still new at creating products other than tatami. The confidence and pride of a matmaker behind a business with 120 years of continuous operation would not allow him to create compromised, half-realized products, so he went on a search for people who would understand his ideas & concepts. 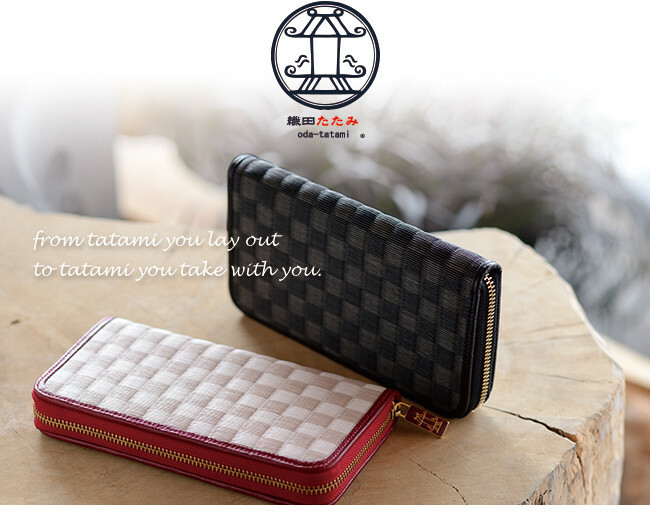 He met with exceptionally talented artisans and worked together with them to create the Oda Tatami brand. Oda Tatami products are never cheaply made. That’s why those who buy them can rest assured of the quality that only this craftsmanship can provide. Oda Tatami aims for Made in Japan quality. Our goal is to cherish and preserve Japanese materials and crafts. On this point, we are exacting: we make no compromises. Genuine quality products of true value made with painstaking care and a personal touch—that is the Oda Tatami brand.